What is Behind IMF’s Decision on Yuan? In recent years, China’s legal tender, known as the yuan, has begun to compete on the global stage with the leading reserve currencies. According to one definition, the currencies that make up what is called the Special Drawing Rights (SDR) basket have the status of official reserve assets. The SDR is a non-cash form of supranational currency that has been issued by the International Monetary Fund (IMF) since early 1970. To date, IMF member countries hold the equivalent of $280 billion of SDR reserves. But that is only a very small percentage of the member countries’ international reserves. The value of SDR assets is based on a basket of several currencies. There are currently four currencies in the SDR basket: the US dollar; euro; British pound sterling; and Japanese yen. These are reserve currencies in a narrow sense. Being granted this status boosts a currency’s prestige and generates additional demand for it in global financial markets. China proposed that the yuan be included five years ago when the IMF was reviewing the composition of the SDR basket, but that request was firmly rejected. During the ensuing five years, China doggedly prepared a new bid to make the yuan an official reserve currency. Beijing’s efforts were two-pronged. On one hand, China continued its global expansion in trade and finance, increasing its economic potential and stepping up its number of yuan transactions on international markets. And on the other hand, Beijing also made some adjustments to its national monetary and financial policy. Those adjustments essentially made the yuan a more convertible currency, in accordance with the IMF’s requirements and minimized the influence of the state on the exchange rate of yuan (also an IMF requirement). China’s success on the first front looks very convincing. In terms of gross domestic product based on purchasing-power parity, China has already outpaced the US, taking top honors in the world. China is also the world’s largest exporter. China’s export-import trade is increasingly conducted in yuan, with the dollar, euro, and other reserve currencies taking a back seat. Letters of credit are very commonly used to settle accounts in international trade. In January 2012, 1.89% of all letters of credit in the world were opened in yuan, a figure that had risen to 9.43% three years later. Just for the record, that exceeds the number of letters of credit issued in euros. The role of the yuan in all international payments (in international trade as well as other routine and capital transactions) is growing. In 2012 the yuan was only the 12th most commonly employed currency in international payments. But by August 2015, 2.79% of international settlements were made in yuan (based on the value of the transactions), compared to 2.34% in July. For the first time the yuan has eclipsed the Japanese yen by this yardstick. China’s currency ranks fourth in the list of the world’s most-used currencies, after the US dollar, euro, and pound sterling. In addition, the yuan is for all intents and purposes already a reserve currency in some countries, because those central banks include the Chinese currency in their international reserves. The precise total of international reserves held in yuan is not known. There have also been big changes on the second front, but it is here that Washington is doing its best to throw a monkey wrench into Beijing’s plans. The US Treasury and other American government agencies have accused Beijing of artificially lowering the value of the yuan. 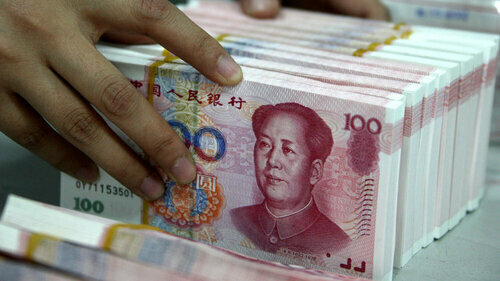 In fact, there are suspicions that China is conducting a currency war. Washington has made accusations against Beijing, claiming that last summer’s slight devaluation of the yuan was not the result of market processes, but the consequence of deliberate actions taken by the People’s Bank of China. And Washington alleges that the numerous limits on foreign capital in the Chinese economy are in fact serious restrictions on the free convertibility of the yuan. By the end of last summer, various US officials had repeatedly stated that they do not support the idea of including the yuan in the SDR basket. However, the tenor of Washington’s rhetoric shifted in the fall. That happened after Xi Jinping’s September visit to the US. Beijing was extremely annoyed by the fact that Washington has embarked on a course of opposition to IMF reforms. 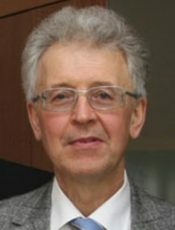 In 2010, the fund’s executive board (24 executive directors) decided to review the quotas assigned to its member states (quotas of capital and votes), in view of those countries’ altered economic and financial positions. Although the economic potential of the US and China, as measured by GDP and international trade, is now approximately equal, their allotted voting power in the fund is not comparable. The US share exceeds 17%, while China’s is only 3.8%. The US and its G7 allies control 43% of the votes in the IMF. This state of affairs suits Washington very well, which is why for the last five years it has blocked congressional ratification of the decision of the fund’s executive board to adjust the quotas. In recent years, US policy toward the IMF has transformed China from America’s partner into its enemy. Consciously or not, Washington has encouraged solidarity among the BRICS countries. In 2015 the BRICS Bank was established, which could become an alternative to the IMF. Beijing is playing a decisive role in the creation of the Asian Infrastructure Investment Bank (ABII), which could be another alternative to the IMF. Washington was forced to make a tactical concession when it dropped its opposition to including the yuan in the SDR basket. In mid-November, the IMF’s managing director, Christine Lagarde, and the fund’s experts recommended that the yuan be added to the pool of reserve currencies. On Nov. 30, 2015, the IMF’s executive board made the decision to include the yuan the in the SDR basket – a move long awaited by Beijing. However, that ruling will not take effect until Oct. 1, 2016 – a delay of ten months. Perhaps Washington was responsible for this postponement, hoping to keep Beijing on a short leash. I think it is possible that if need be, Washington will be able to compel the IMF to freeze any decision about enforcing the decision of Nov. 30, 2015. The first analyses have emerged about how the yuan’s new official status as a reserve currency will affect the Chinese economy. 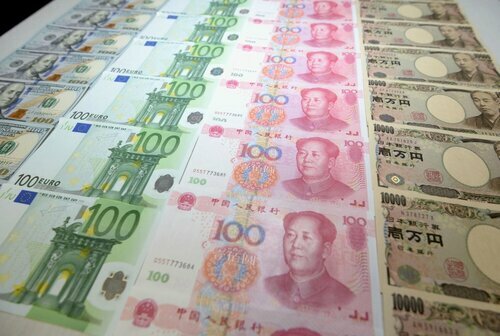 Experts anticipate an additional $ 600-billion influx of capital in the form of yuan-based assets by 2020. However, there have also been negative reactions, pointing out the danger of a hike in the yuan’s exchange rate, which would weaken Chinese export market that is already growing wobbly. But be that as it may, Beijing feels victorious. The yuan’s share has been set at 10.92%. While the share of the US dollar will decline a purely symbolic amount: from 41.90 to 41.73%, it is the euro that will primarily feel the squeeze, sliding from 37.40 to 30.93%. The proportion of the British pound sterling will also drop (from 11.30 to 8.09%), as well as the yen (from 9.40 to 8.33%). This means that the share of two European currencies (the euro and the pound sterling) in the SDR basket will fall by nearly ten percentage points. It is also worthy of note that, once voted into the club, the yuan immediately took over the third-place position, displacing the Japanese yen and British pound sterling. It can be expected that, having won this special status for the yuan, Beijing will in the near future also try to win reforms within the IMF. This might mean, first of all, the enforcement of the executive board’s 2010 decisions to adjust the quotas. Second – the adoption of a new formula for calculating quotas (one that more accurately reflects the position of the fund’s member countries in the global economy). Third – the preparation of new quota adjustments (as of 2015). Beijing’s ongoing struggle to find its place under the sun within the IMF is fraught with great risk. Some US politicians have made these kind of comments about the future of the IMF: the fund is only useful to Washington as long as the United States holds the “controlling stake” in it, and as long as they can use the fund as an instrument of their foreign policy. If China and other countries deprive the United States of its controlling stake in the IMF, there will no longer be any reason for Washington and its allies to continue their membership in that organization. It would be interesting to know whether Beijing is bearing this in mind as it prepares to scale new heights in the fund.